*Plus fees and sales tax. Valid only at Mike Calvert Toyota. Present coupon when written. Not valid with any other coupons or advertised specials. Good on Toyota models only. Offers expire end of month. ©2019 Strong Automotive Merchandising. All Rights Reserved. Get the most life out of your vehicle and save more when you bring it in for service at Mike Calvert Toyota. Our online service specials save you money on maintenance items like oil changes, tire rotations, brake jobs and more. Getting your vehicle serviced regularly is the best way to get the most life out of it, and we want to help with the process. Beware of any “price promises” you may see from independent auto service facilities in the area. They often advertise unbelievably low prices, but there is a catch. Some independent repair shops have technicians that haven’t undergone comprehensive certification training like our technicians have. Also, they could be using non OEM (Original Equipment Manufacturer) parts when they perform maintenance on your car, truck, van or SUV. Both of these factors could significantly affect the quality of service/repair on your vehicle. Bottom line: don’t take a chance when it comes to taking care of your car. Let us handle all your service needs at our convenient location at 2333 S Loop W, Houston, TX 77054. One of the best ways to maintain the value of your car, truck, SUV or van is to follow the factory recommended maintenance schedule. At Mike Calvert Toyota, we realize that practically everyone is on a budget these days and that’s why we offer online service specials. This makes it easier to follow your factory recommended maintenance schedule and get the most life out of your vehicle. Did you also know that keeping up with recommended maintenance on your car could be a factor in keeping your warranty in effect? Some warranties require this as a condition of coverage on a vehicle. Trust our Toyota Certified Technicians to perform all the services your vehicle needs and keep your car running for mile after mile. Schedule your next appointment online, or feel free to call our service center directly at (713) 904-1761. Mike Calvert Toyota’s service center is convenient to the Spring and Pearland areas and is open Monday through Friday from 6:00 A.M. to 7:00 P.M. and on Saturdays from 7:00 A.M. to 4:00 P.M.
We service all brand vehicles (not just Toyotas) and offer a comfortable, relaxing client lounge if you choose to wait for your service to be completed. Our online service specials are updated frequently, so be sure to check our website often for all the latest offers. 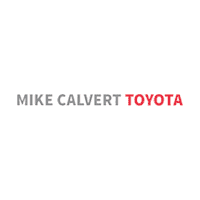 Mike Calvert Toyota has established a reputation as one of the top rated Toyota service facilities in the area and we invite you to experience it for yourself today. Schedule your next appointment online and trust the pros at our service center to keep your vehicle in top-running condition.